Don't you just hate those holiday texts that arrive the minute you set foot off the plane? Usually the're along the lines of: "Welcome to Spain, internet use will cost £7.08/Mb - Get ready to be rinsed," and are followed by a swift shut down of mobile data connectivity. Now T-Mobile wants to make Facebook updates and email replies a reality without the assistance of Wi-Fi by launching affordable internet bolt-ons for PAYG and contracted customers. The new rates will give users 3Mb of data (enough to post a couple of pics online or download a few apps or emails) for just £1 in Europe or £5 in the USA. The bolt-ons can be used with smartphones, tablets or dongles and will last until the 3Mb runs out. Alternatively, 20Mb can be purchased for a fiver or 50Mb for £10, but those have to be used within a pre-defined timeframe. 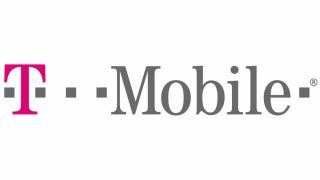 "Once the purchase is complete, they can immediately continue to browse the internet, update Facebook, email or download apps and documents without the worry of paying more than they expect when they return from their travels," T-Mobile said in a statement. UK networks are currently positioning their pieces before new EU roaming regulations come into effect on July 1. Vodafone offers the opportunity for customers to stay on their regular voice and data plans for £3 a day in Europe, while Three UK offers all-you-can-eat daily data for £5. However, at just a quid, T-Mobile offers the cheapest, if not the best value, means of getting online on your jollies.